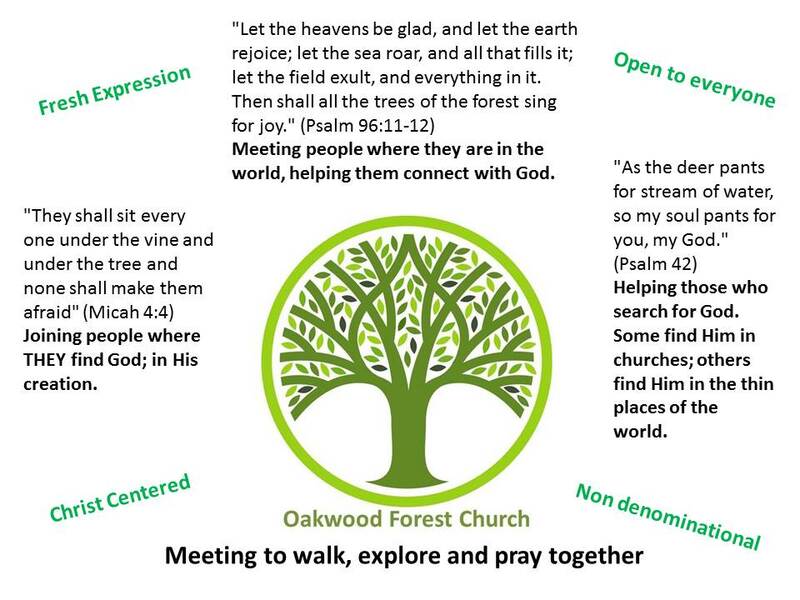 This entry was posted in Uncategorized and tagged Christ centered, church, forest church, God, oakwood, press, Xn on January 16, 2014 by oakwoodforestchurch. 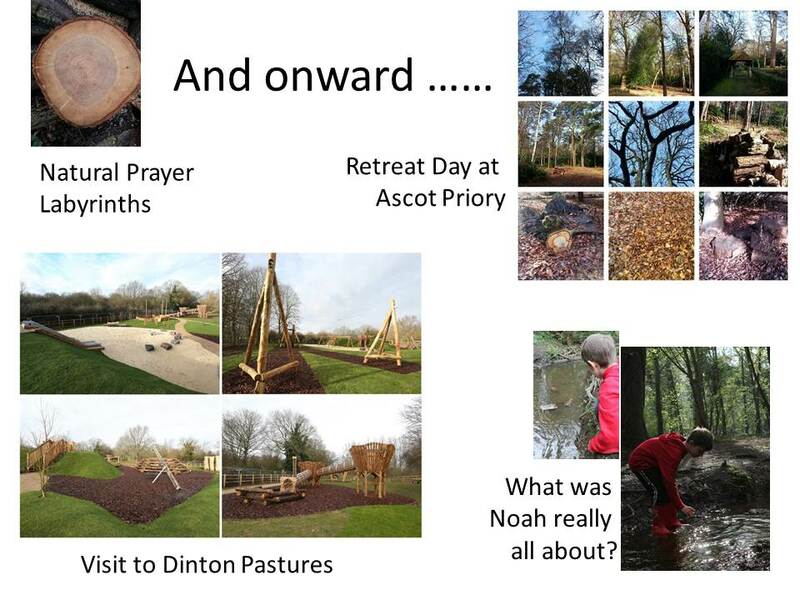 Picture the scene: a cold, bright winters day inviting the family out for a walk to explore the nativity. Yes; that really was what I imagined the weather would be like on Saturday 21st December 2013 which just goes to prove that I did not miss my calling to be a weather forecaster. In reality the day was the second or third wet day in a row and cold to boot. 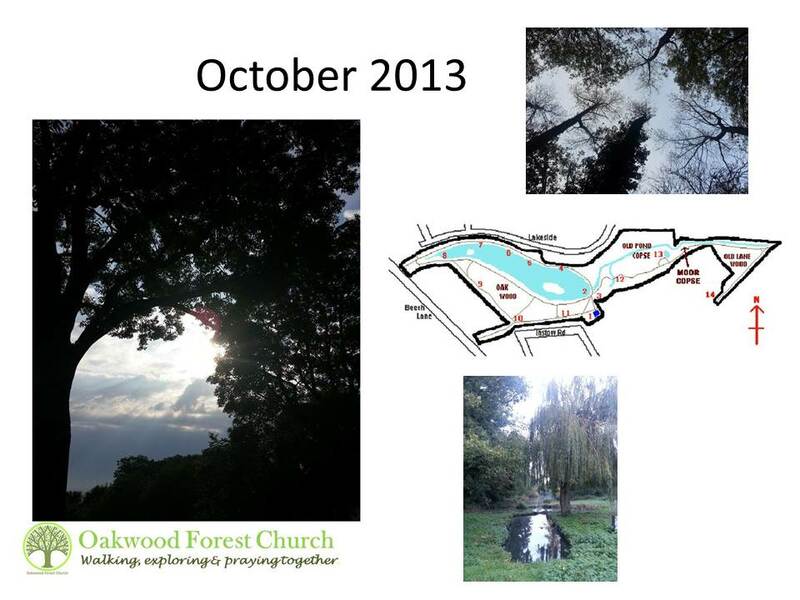 I had sent out reassuring messages in email, text and on facebook that Oakwood Forest Church was not weather dependant and arrived with little expectation of any turn out at all. What a doubting Thomas I am. Five hardy families and a couple of well dressed adults came along ready to Walk the Nativity despite the wind and rain. 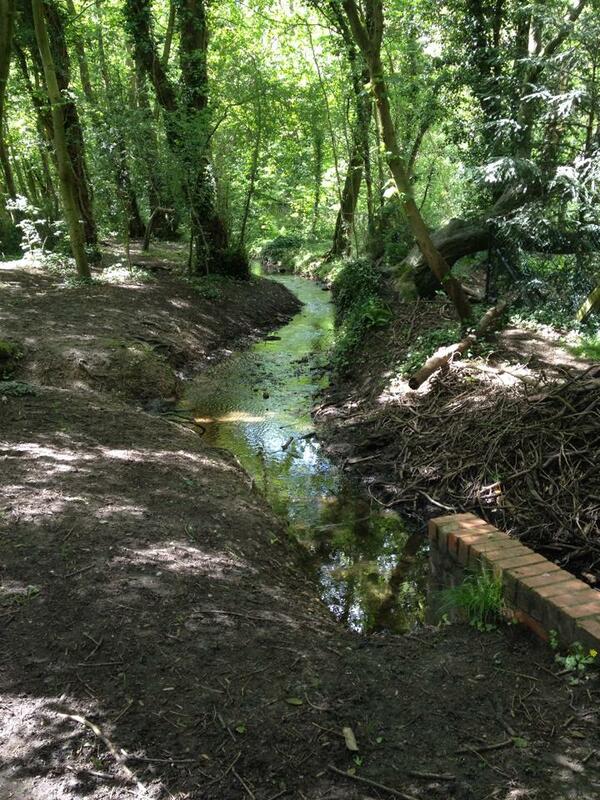 As we walked alongside the fast moving Loddon Brook we stopped six times to meet the characters, hear the nativity story, explore the meaning and share the joy of Jesus’ birth. 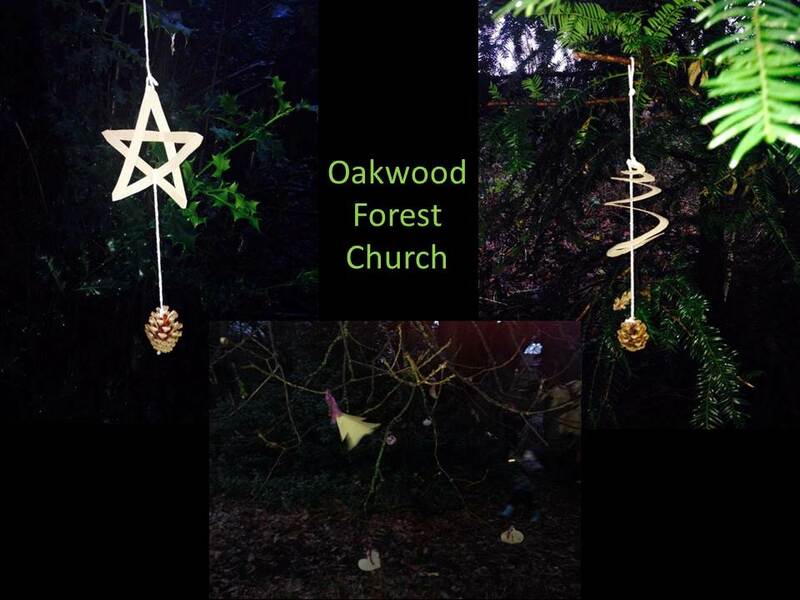 We sang Away in a Manger to the surprise of the dog walkers and hung our handmade biodegradable christmas decorations on the ancient Gemini Oak before praying together for the truth of Christmas to be heard far and wide and the love of God to be felt in every home. 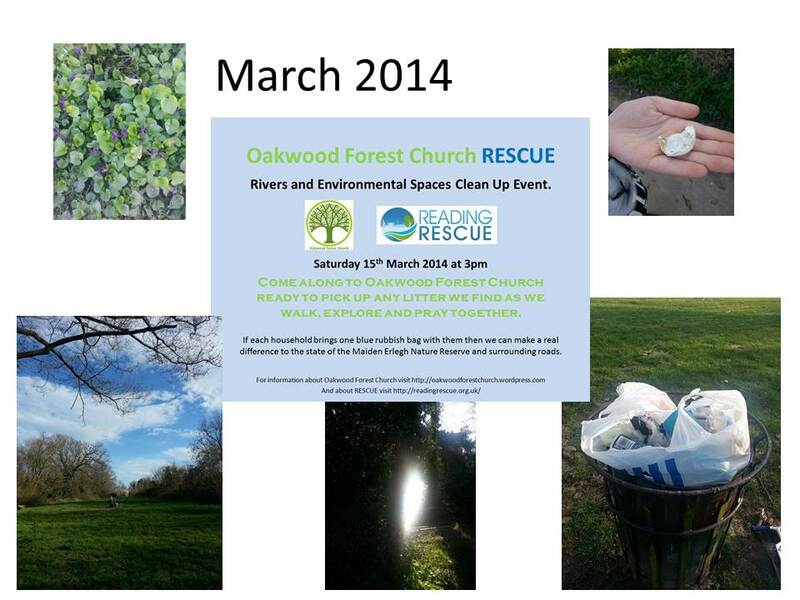 We meet again on Saturday 18th January 2014 at 3pm. 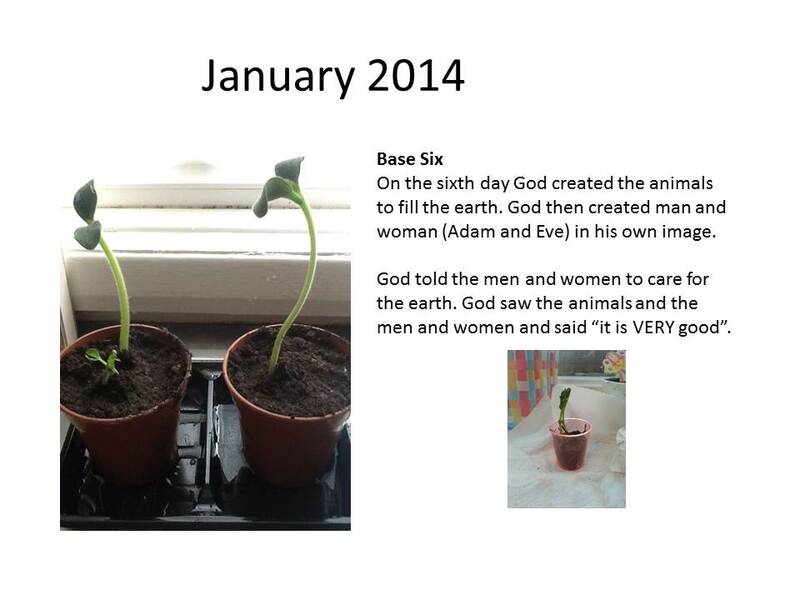 This entry was posted in Uncategorized and tagged adults, bible, children, Christmas, family, forest church, fresh expression, God, hope, Jesus, love, nativity, oakwood, prayer, weather on January 5, 2014 by oakwoodforestchurch. 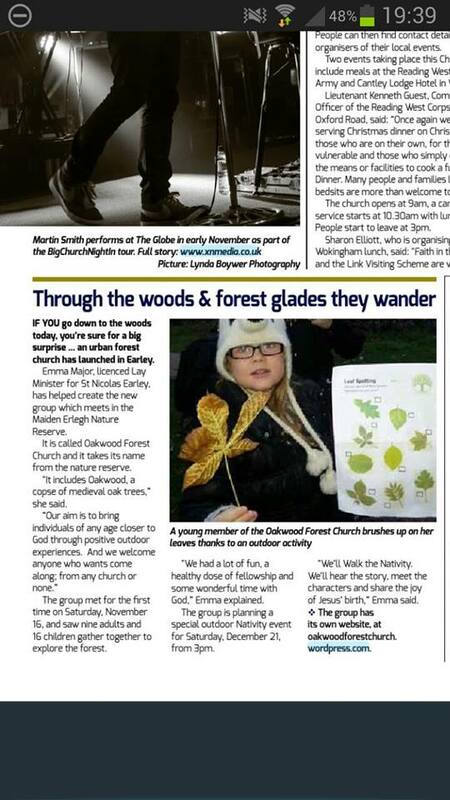 Here it is, our first, small but perfectly formed piece of press about Oakwood Forest Church. 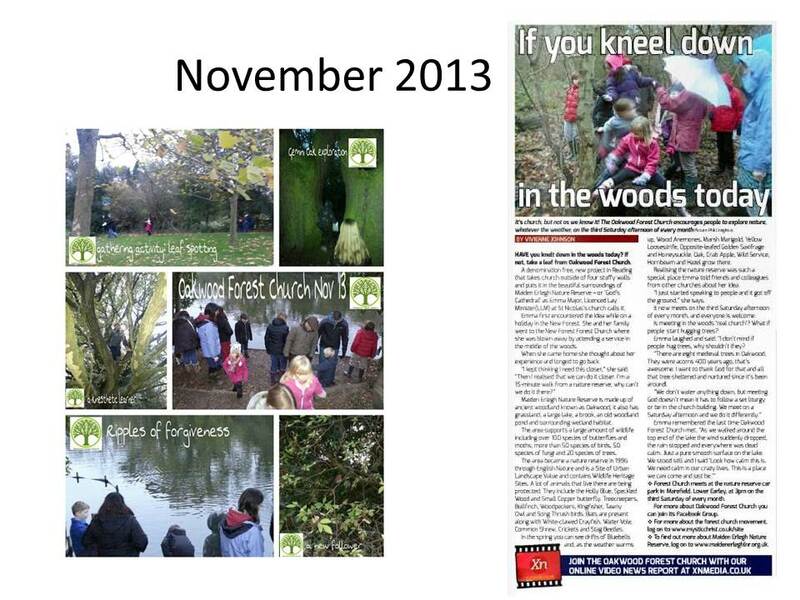 A piece on Page 11 of Xn December 2013 edition entitled “through the woods and forest glades they wander”. It is wonderful to see this fabulous Christian magazine promoting what we do and really understanding what we’re about. This entry was posted in Uncategorized and tagged article, forest church, oakwood, PR, press, Xn on January 5, 2014 by oakwoodforestchurch. 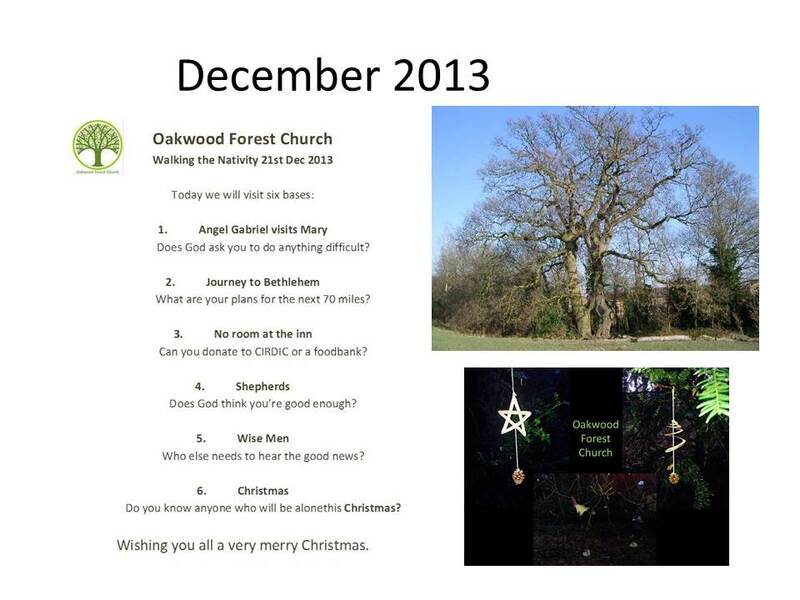 Join Oakwood Forest Church on Saturday 21st December 2013 at 3pm when we will walk the Nativity story. 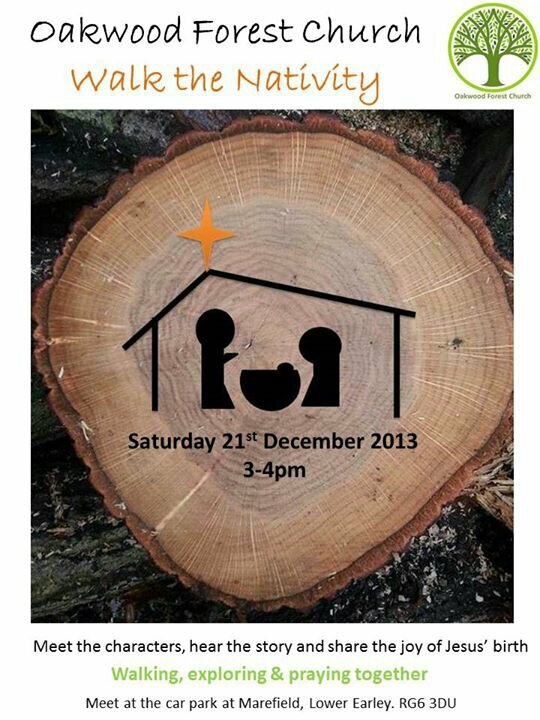 Come and hear the story, meet the characters and share in the joy of Jesus’ birth. 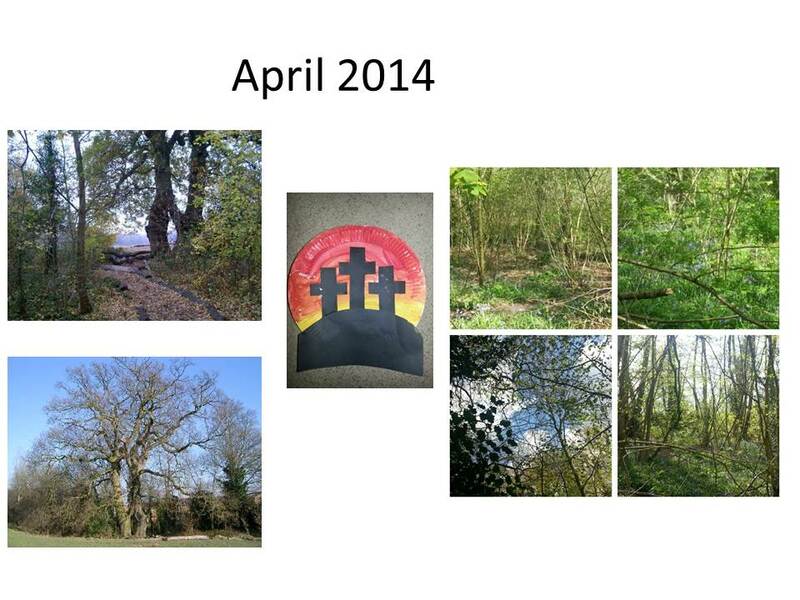 This entry was posted in Uncategorized and tagged adults, all age, bible, children, Christmas, forest church, Jesus, nativity, oakwood, scripture, walk on November 17, 2013 by oakwoodforestchurch. but the darkness has not overcome it. 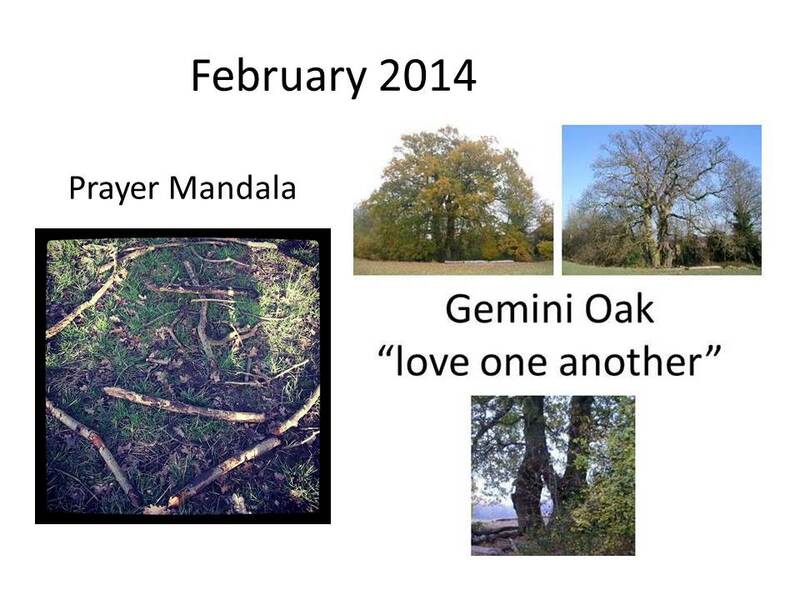 We walk, we explore and we pray together. 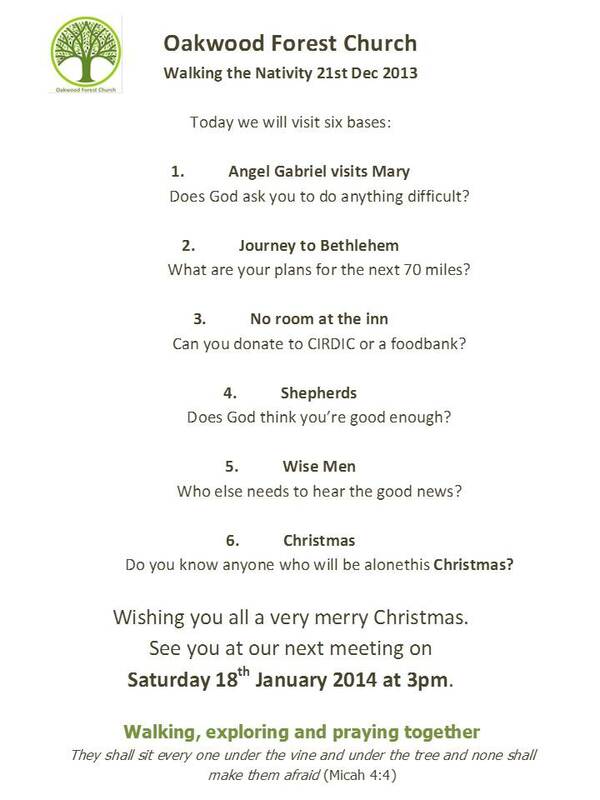 We are a group of people gathering to meet God and journey with Him. This entry was posted in Uncategorized and tagged bible, Christ centered, church, forest church, fresh expression, God, hope, John, light, love, oakwood, people, scripture on November 17, 2013 by oakwoodforestchurch.